In its 21st session, the Customers’ Council at Roads and Transport Authority (RTA) discussed with the Licensing Agency’s customers and representatives of driving schools in Dubai a number of important issues capturing the attention of various community members. In particular the gathering shed light on how to streamline certain issues relating to the use of quad bikes, online auctions, and driving schools. The session was headed by Mohammed Obaid Al Mulla, RTA’s CEO, Board Member and Chairperson of Customers’ Council, Dr. Aysha Al Busmait, Director of Marketing and Corporate Communication & Acting Director of Customer Service, Hussain Al Banna, Director of Traffic, and Sultan Al Marzouqi, Director of Drivers’ Licensing. Al Mulla, commended the gatherings held by the Council with different customers of RTA’s sectors and agencies, acting as a key link between RTA’s leaders and external customers, who contributed to many suggestions leading to positive results on the ground. 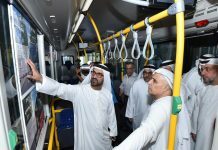 “Through its various agencies, RTA seeks to provide top-quality services to the highest standards required to keep pace with customers’ changing aspirations and expectations,” he explained. Nasser Al Nouri, Manager of Technical Inspection, Licensing Agency delivered a visual presentation on regulating the use and licensing of quad bikes in which he reviewed statistics showing that accidents involving quad bikes were on the rise worldwide. He explained that a study conducted in the USA revealed that as many as 8,995 quad bikes caused fatal accidents during the period from 1982 to 2007. Reports also showed that quad bikes-related fatalities soared to 891 cases during the period from 2003 to 2007, with 20% death cases registered among children under 16 years in 2007. “In view of the number of accidents caused by quad bikes in Dubai, RTA took the initial step towards enhancing the safety of the public and quad bikers through regulating the use of bikes either by subjecting them to an inspection and registration regime, or imposing fees for their registration. 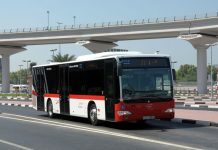 Moreover, RTA demanded such bikes to be inspected by specialists to make sure that they satisfied some crucial safety aspects, most notably the steering wheel, driving system, accelerator & brake pedals, light signals and tires,” he added. “RTA is always seeking to cooperate with driving schools towards conducting a number of training courses covering all aspects, including basic information about the components of quad bikes, operation guidelines, safety tips & procedures, and skills and practices of model driving,” continued Al Nouri. For his part, Yahya Al Balushi, Senior Supervisor, RTA’s Vehicles Licensing Dep’t, made a visual presentation highlighting the procedures adopted in the online auction of vehicles number plates in which he reiterated the Agency’s commitment to implement the best practices and standards in delivering vehicles licensing services to customers. He stated that the online auction run through RTA’s portal was but a new channel of communication offering bidders ample opportunity to make the appropriate selection of number plates. Al Balushi explained the multiple features characterizing the online auction topped by saving customers’ time & effort, achieving equality & offering equitable opportunities in the purchase of number plates, and creating a platform for direct sales online. He also reported that the auction reduced human errors, customer visits & complaints associated with the selling of number plates, and enabled exercising a control over the supply & demand of number plates. Each of the five driving schools stationed in Dubai and supervised by the RTA, namely Belhasa Driving Centre, Galadari Motor Driving Centre, Emirates Driving Institute, Al Ahli Driving Institute, and Dubai Driving Centre highlighted the services provided to customers along with their branches and the facilities in place. Afterwards, Customers’ Council officials engaged in general discussion with the attendees to receive their observations which pave the way for strengthening the bonds and achieving the ultimate goal of the Council vis-à-vis delivering customers’ messages to the RTA’S top leadership. Suggestions relating to quad bikes were also discussed including the possibility of dedicating some lanes for training and qualifying quad bikers, and coordinating with bikes sale agents to undertake the registering and insurance of quad bikes at the time of purchase before hitting the road. This suggestion in particular had been discussed with quad bike dealers and agents and it will be put into effect in the near future. Another suggestion called for increasing the number of inspectors to ticket those who fail to comply with quad bikes driving regulations, especially those underage. Customers’ observations relating to the online auction included ensuring compliance with the time allotted for vehicles’ number plates auctions (Auction’s starting & finishing time), amending the bidding system to make it either an open system or multi-steps system, refunding the deposited amount of AED 5000 directly to the bidder’s credit card to avoid reporting to offices and waiting, and upgrading the system such that an SMS is received directly after registering on the auction’s website. Customers also asked for an optional service of sending to bidders on the same number plate the bidding amount via text messages or e-mails. 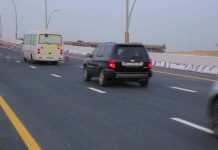 A suggestion was raised calling for allowing holders of traffic files issued from other emirates to bid for buying numbers plates through the online auction and open a traffic file afterwards. The key suggestions discussed by customers regarding driving schools stressed the importance of developing a standardized training syllabus for all driving schools, educating drivers and enhancing their driving know-how and skills through exposing them to several awareness programs, following-up novice drivers immediately after obtaining their driving license, and subjecting holders of driving licenses issued from other countries to a driving test without having to take training.